This talk is aimed at demonstrating the power of the feedback and its underpinning theory in creating the numerous artifacts that our societies want and often need. It will highlight the enabling nature of Control Systems Theory which often looks ahead not just by shaping but, inventing the future indeed. 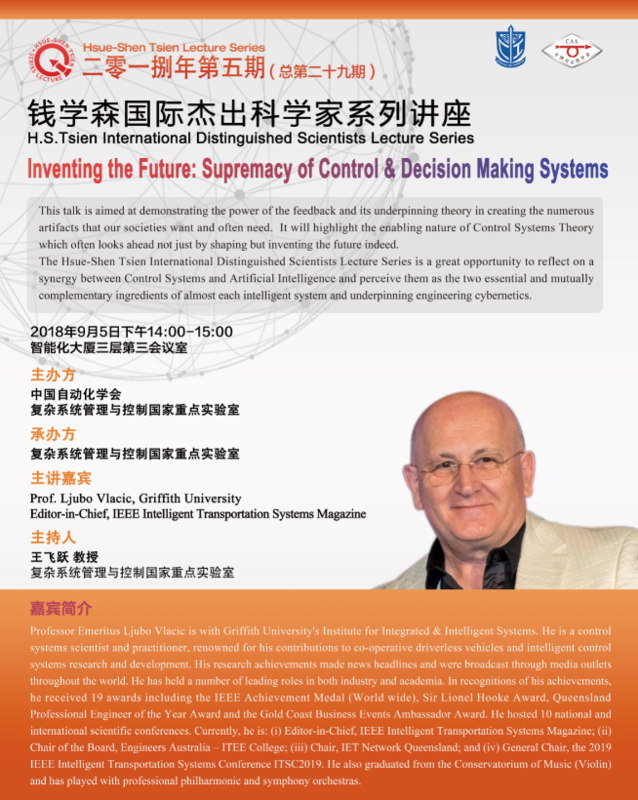 The Hsue-Shen Tsien International Distinguished Scientists Lecture Series is a great opportunity to reflect on a synergy between Control Systems and Artificial Intelligence and perceive them as the two essential and mutually complementary ingredients of almost each intelligent system and underpinning engineering cybernetics. Professor Emeritus Ljubo Vlacic is with Griffith University's Institute for Integrated & Intelligent Systems. He is a control systems scientist and practitioner, renowned for his contributions to co-operative driverless vehicles and intelligent control systems research and development. His research achievements made news headlines and were broadcast through media outlets throughout the world. He has held a number of leading roles in both industry and academia. 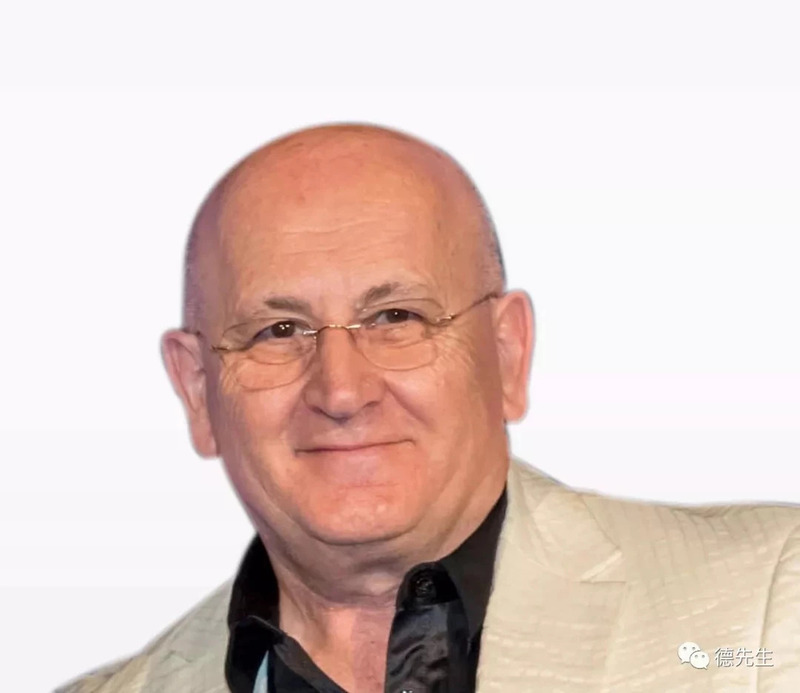 In recognitions of his achievements, he received 19 awards including the IEE Achievement Medal (World-wide), Sir Lionel Hooke Award, Queensland Professional Engineer of the Year Award and the Gold Coast Business Events Ambassador Award. He hosted 10 national and international scientific conferences. Currently, he is: (i) Editor-in-Chief, IEEE-Intelligent Transportation Systems Magazine; (ii) Chair of the Board, Engineers Australia – ITEE College; (iii) Chair, IET Network Queensland; and (iv) General Chair, the 2019 IEEE - Intelligent Transportation Systems Conference ITSC2019. He also graduated from the Conservatorium of Music (Violin) and has played with professional philharmonic and symphony orchestras.